Looking to sail from Tuscany? Search to find and book your ideal boat, or read everything you need to know: prevailing winds, where to sail, how to get there and more! Tuscany is renowned for its beautiful countryside, delicious cuisine and fine wine - but it also has a stunning coastline, and the seven islands of the Tuscan archipelago, which stretches across from Tuscany to Corsica, are known as 'the pearls of the Mediterranean' because of their incredible beauty. Between them, they offer beaches of all different kinds and colours, towering cliffs and rocky crags, picturesque villages, medieval hill-top castles, ancient ruins, and extravagant palaces, amongst so many other reasons to go. 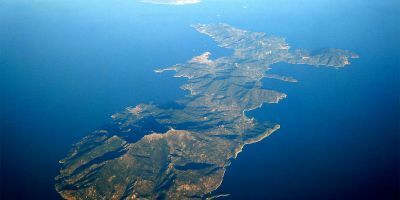 Most famous is the island of Elba, where Napoleon Bonaparte was exiled for ten months. The entirety of it is not just a nature reserve, but also a UNESCO world heritage site, and it has so many marinas and secluded anchorages that one week isn't enough to see them all. Highlights include Portoferraio, the capital of the island, which was transformed by Napoleon into a grand and opulent port, as well as the old town of Marciana, with it's old stone tower, and paths up to Monte Capanne. The beaches here are something else, and you could spend hours snorkelling over the vibrant wildlife, colourful fish, and even wrecks of ships caught out in inclement weather (at Pomonte beach). There's also the remote and unspoilt Capraia to the north, with a population of just 400 people, and which was formerly used as a prison, or Giglio to the south, with its Roman harbour, colourful village, and amazing beaches. Corsica is also only 60 nautical miles away. With perfect sunshine practically guaranteed, food and wine to die for, reliable winds, outstanding beaches with crystal clear seas, and stunning views, then maybe Tuscany is the place for your next voyage! There's plenty to explore from our base in Follonica, Tuscany. For starters, you can head up and down the coast to marvel at the beautiful countryside, hill- or cliff-top villages, and sampling the locally grown wines. 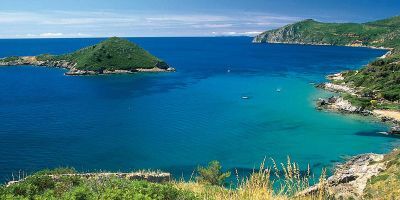 More impressive are the Tuscan archipelago, seven islands just off the Tuscan mainland, which are often called 'the pearls of the Mediterranean' and, legend has it, were dropped into the sea by Aphrodite herself. 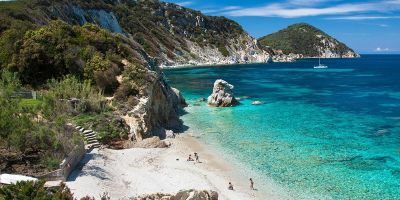 The largest of these is the extraordinary Elba - an island of rare beauty which has everything you could wish for: a vast array of beaches and secluded bays, picturesque villages, ancient ruins, mountains, cliffs, towers, palaces, castles and even marble quarries. It has been populated for thousands of years but is most famous for being the most beautiful prison in the world (when Napoleon Bonaparte was exiled here), and is only 19 nautical miles from Follonica. 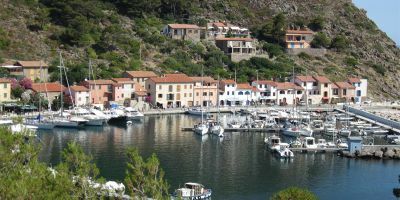 Further afield, Capraia and Giglio are islands of note, each with their own charms, and it's very possible to get across to Corsica, but at 60 nautical miles away, it's only really worth doing if you are chartering for longer than a week. 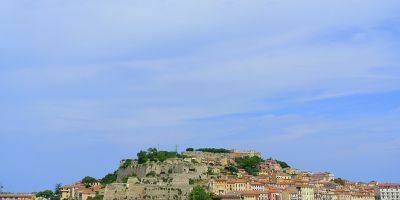 The largest town on the island, this place is stunningly built on hillsides surrounding a beautiful natural harbour, and close to a beach where Jason and the Argonauts once landed their ships! There's so many beautiful beaches, we can't even name-check them all. There's also great variety and you'll find beaches of white, gold, red and black sand or pebbles, all accompanied by clear turquoise blue seas. A picturesque ancient town with an impressive stone tower and a lively atmosphere. 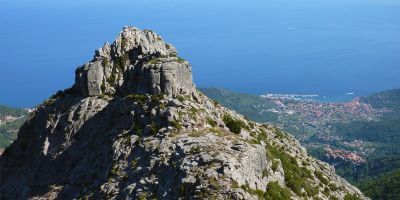 Take a fantastic seaside promenade, or take a trek up Monte Capanne for outstanding panoramic views. 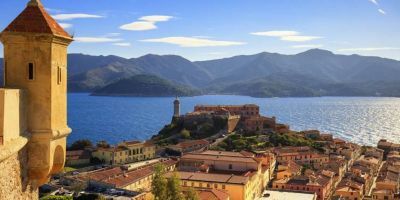 Our six-day itinerary covers 88 nM and heads anticlockwise around the island of Elba, the pearl of the Mediterranean. There's a multitude of villages, marinas, beaches and bays to visit, and the scenery offers a bit of everything, so you'll be surprised that you are still on the same small island. 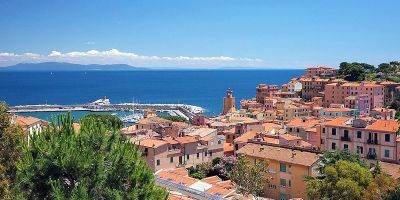 The islands of Capraia, Giglio and even Corsica are also within reach for a week-long sailing charter, but if you just sail around Elba, you won't be disappointed. You'll find lighter breezes alongside the Italian mainland coast, usually arriving from the West or North-west, making transit fairly straight-forwards up and down the coast, and for pleasant sailing conditions. As you get further out towards the islands of the Tuscan archipelago, you'll notice that the wind starts to pick-up. During the sailing season, the winds spins through the islands, and can arrive at you from any direction, though it's most likely to come from either the South-east or the North-west. In winter, the sailing gets a little more challenging - there is no real prevailing wind conditions, and the wind can be anything from non-existent to gale force. What is the Current Weather in Tuscany? Now a pretty seaside town which is popular with local holidaymakers for the quality of it's beaches, Follonica was once the biggest iron foundry in the whole of Italy. Indeed, many of houses were built in the 1800's, when the Italian king Leopold II set up the Royal and Imperial ironworks here, and even the name of Follonica derives from the Italian 'fulloni', the name for bellows used in iron furnaces. Sadly, the iron industry in Italy collapsed in the 1970's, but you can revisit the history of the area in the well-rated MAGMA museum, based in one of the old iron furnace-houses. There's a number of great public and paid-for beaches along the coast, and the town becomes a hive of activity in July and August, when schools are out, and the population of Italy swarm to the beaches to enjoy the sun, sea and ice-cream. If beaches aren't your thing, there's a medieval castle which overlooks the hill, the ruins of an ancient monastery, and lush pine forests to explore. There's also a big water park for those after something a bit more exciting than sitting and getting a tan. Facilities wise, there's over 100 places to eat and drink - all offering great food, at locals prices - and the town is a great place to start or end a holiday. The modern and massive Marina di Scarlino is a short walk south from Follonica, has over 960 berths and is another fantastic example of a marina resort development - more than just a yacht marina, there's a hotel, 50+ holiday apartments, a swimming pool, a selection of shops and restaurants, a pizzeria, pharmacy, hairdresser, dentist and even a vet surgery! Of course, they also have all the basics, and the modern facilities mean that you'll be very comfortable here. Being on the Italian mainland, our base in Tuscany, Follonica, is very well connected, and relatively easy to get to from across Italy - you can get here by road or train inside five hours from pretty much anywhere on the Italian mainland. The most convenient airport is Pisa, which is just over a one hour transfer away from the marina - we can arrange a transfer for you - just ask. You can also get to Follonica by getting the airport bus to Pisa town centre and then getting a train to Follonica. The marina is a 25 minute walk south of Follonica station. Further away, Florence is a transfer of one and three-quarter hours away, and you can land in Rome Fiumicino airport and get to the marina in just under two and a half hours.